Our tree moving service is for you! 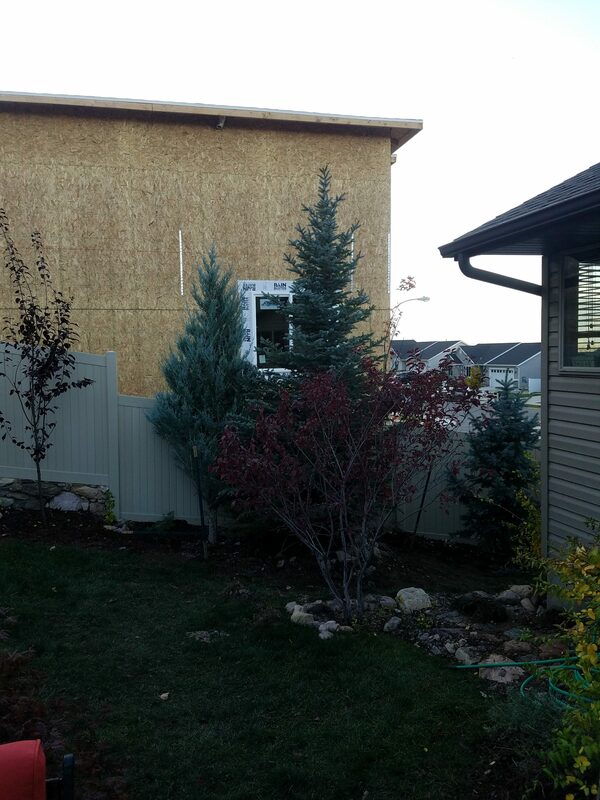 Whether you have a small tree or a large tree, we can move it. We also move trees that are already on your property, or we can bring in trees from our farm. 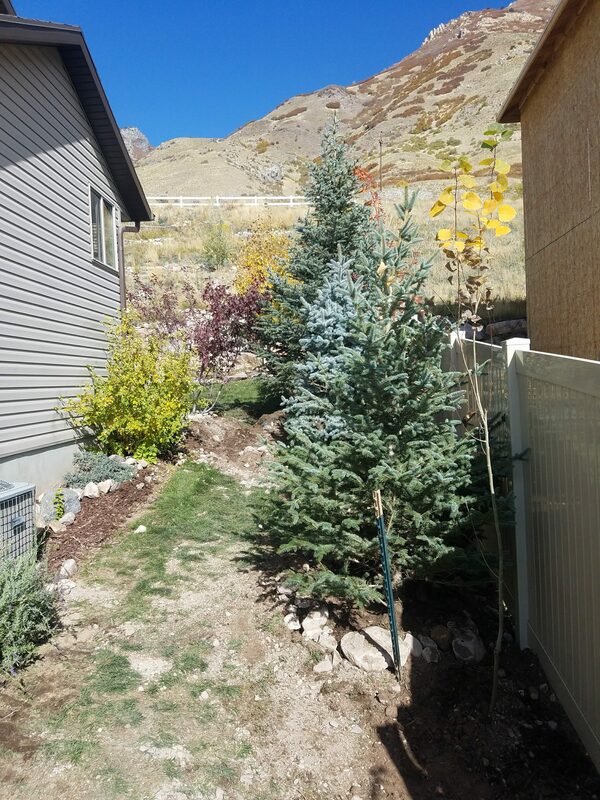 We recently completed a job in Provo where we brought in three different trees. 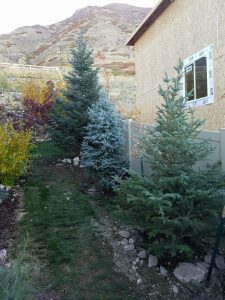 The two smaller ones, 6′ and 8′, were fairly easy to get in, but the largest one, a 16′ Colorado blue spruce, proved to be more difficult. The toughest part was getting the tree off of the flatbed. 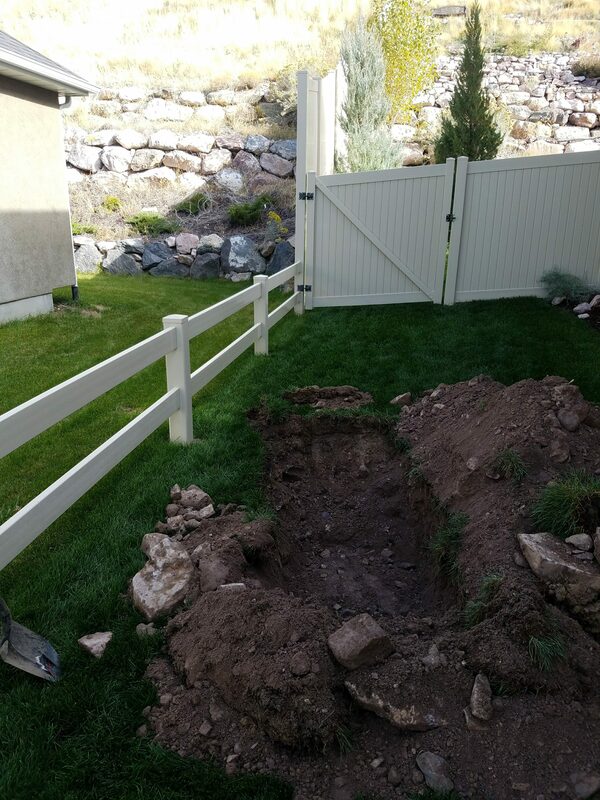 The mini-excavator that we use weighs about 7,500 pounds, so it’s a sizable machine. The 16′ tree weighed about 2,000 pounds. Mathematically it shouldn’t have been a problem, but there were some circumstances we hadn’t accounted for before. The first was the incline. 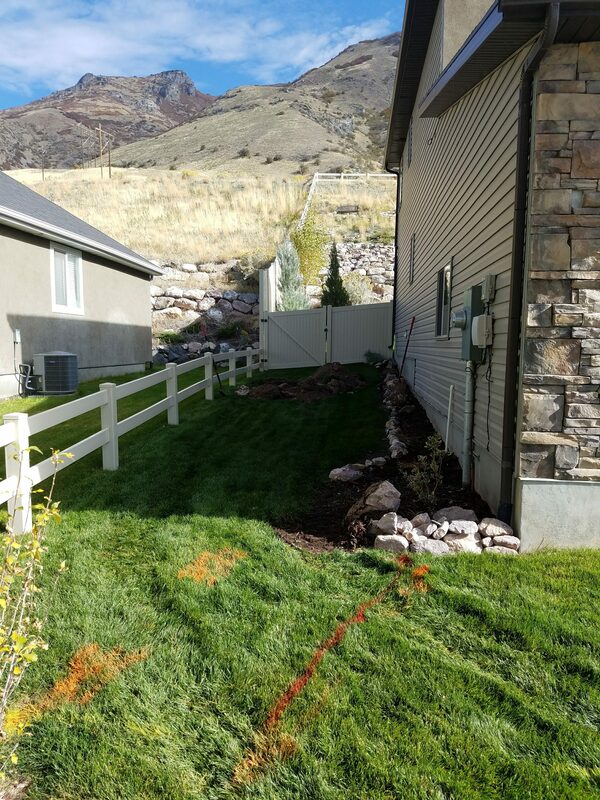 The yard sloped down towards the street, not at a huge angle, but enough that it tilted the mini-ex towards the street. The second was the distance we had to reach to get the tree. This, in and of itself, wasn’t a huge deal, but when combined with the incline was a problem. The last was gravity. 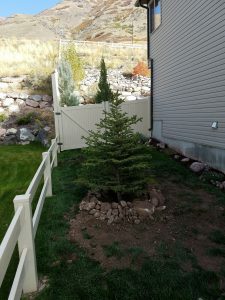 Because we had to go uphill with the tree it took skillful maneuvering to get the tree positioned properly. We had to hook up the 16′ tree a few different times, altering the length of the chain to be as short as possible. This allowed us to have a better angle when lifting it up. It also allowed us to bring it in closer to the mini-ex and keep the center of gravity closer to the machine, thus increasing the overall stability. We had to crawl the mini-ex back a few inches at a time until the root ball of the tree was off the flatbed. Once it was clear, we swung the arm clockwise very slowly as to not tip. After a few nail-biting minutes of this, we had the mini-ex and tree properly oriented to ascend the hill. Once we mounted the hill we needed to increase the diameter of the hole to accommodate the very large root ball. 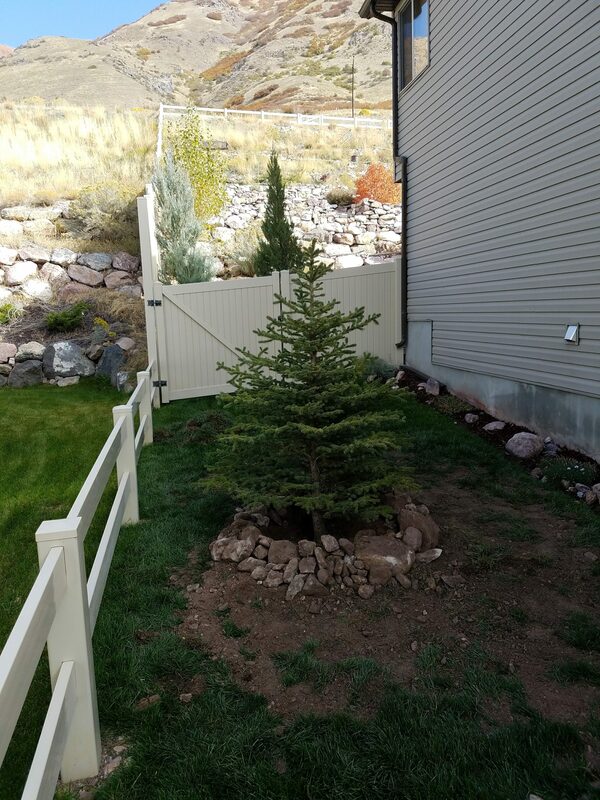 Shovel work was done and the tree was placed down carefully on a pedestal. We filled in the surrounding area with dirt and created a berm with more soil and rocks. 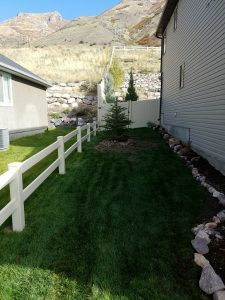 This ensures the tree receives adequate moisture while not over-watering it. 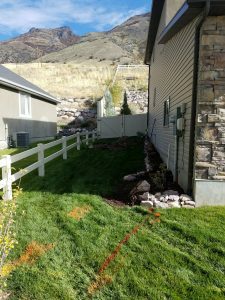 Our customers were extremely pleased with the work we did. 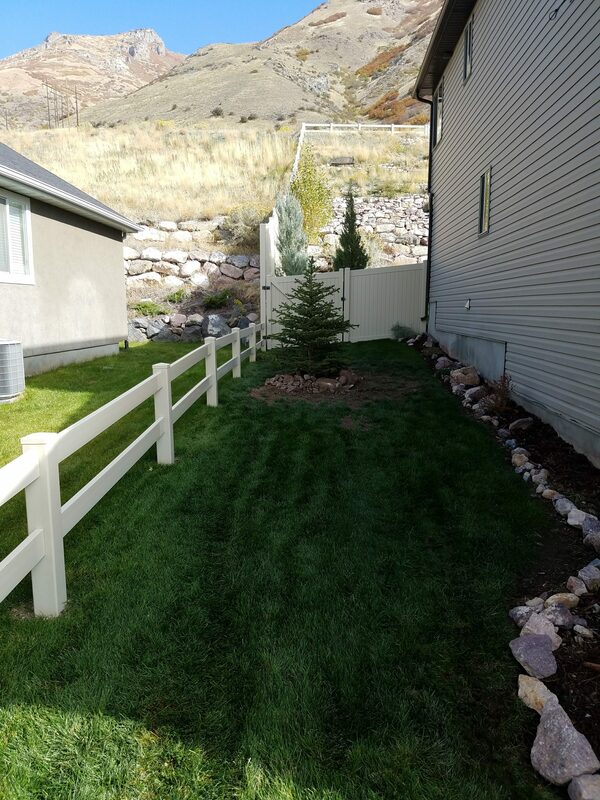 They wanted the trees to create a privacy barrier around their gorgeous property. 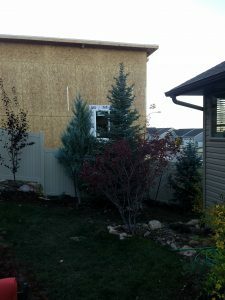 The trees were used mainly to shield windows aand to provide wind block for their backyard. 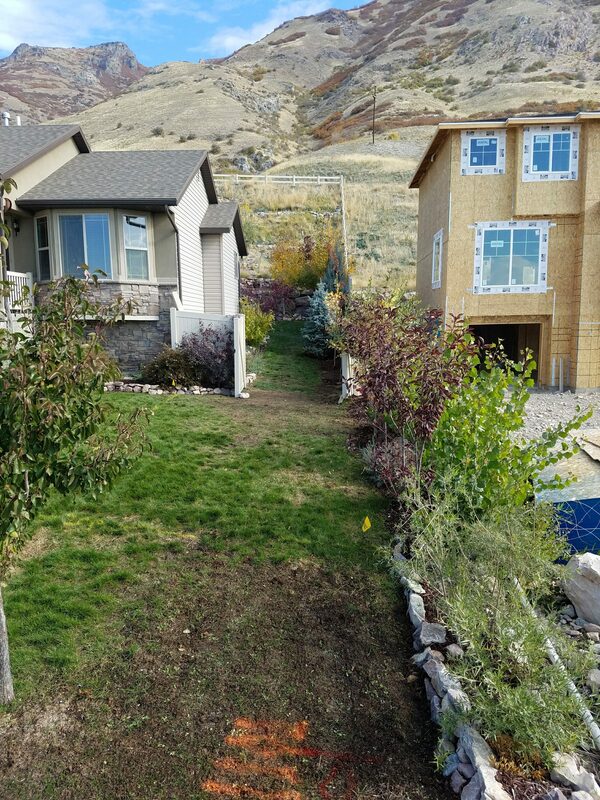 We were glad to do the work and show why we’re such a good tree moving service.